NIS America have announced that the Aqua Style-developed Touhou games, Touhou Genso Wanderer and Touhou Double Focus, will be releasing in North America on Feburary 7th and in Europe on Feburary 10th next year. Touhou Genso Wanderer will be releasing physically and digitally for PS4 in both North America and Europe, and digitally only for the PS Vita in both territories. Additionally, all launch copies of Touhou Genso Wanderer will include Touhou Double Focus for free in both territories, however the US version will be a physical disc while EU is a download code. Santa Ana, Calif. (October 10, 2016) – NIS America is happy to announce our partnership with AQUA STYLE to bring Touhou Genso Wanderer and Touhou Double Focus to North America on February 7, 2017 and Europe on February 10, 2017! Touhou Genso Wanderer will be available on PS4 (physical and digital) and PS Vita (digital-only). As an added bonus, all physical PS4 copies of Touhou Genso Wanderer at launch will include a free copy of the 2D platformer Touhou Double Focus (while supplies last)! 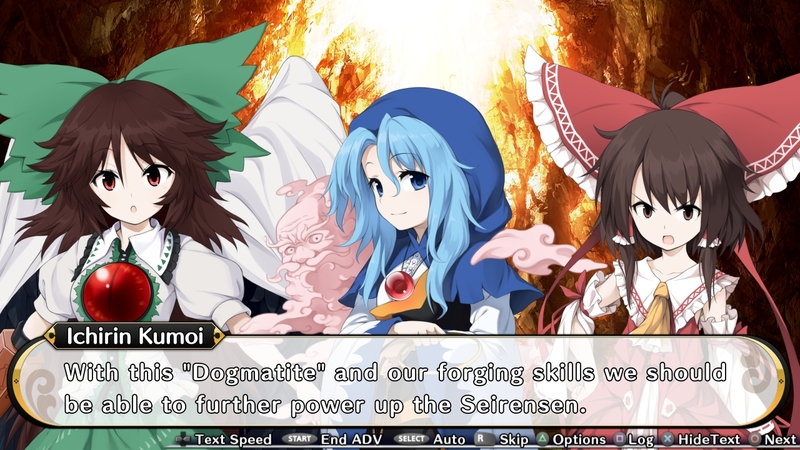 Touhou Genso Wanderer is a roguelike RPG set within the expansive Touhou Project which invites the player to play as Reimu, the Hakurei Shrine Maiden, to investigate the latest incident to take place in the world of Gensokyo. Along the way, you’ll encounter a variety of characters from the Touhou Project universe, discover mountains of loot—each piece of which is valuable thanks to the game’s item fusion system—and test your mettle with your favorite Touhou girl in tow as your adventuring partner in this approachable take on the roguelike genre. After getting sucked into a magical book, Aya and Momiji must find their way back home. Explore every nook and cranny to unravel the mystery of the Book World! Along the way, the two run into many other residents of Gensokyo. Some come asking for help while others blame Aya for causing the incident. Help or defeat everyone you meet to give Aya her biggest story yet! Former contributor for Operation Rainfall whom has now headed out to pursue new challenges outside of games journalism. Their passion for games continues with many games of all kinds being on their list of games to play and games they love. Haru Okumura is best girl.